Drone or unmanned aerial vehicle. As a man we always admired flying, we built planes and balloons to touch the sky. Yes flying is fun, back on days we used to fly kites now in this era we have super-drones to have fun even kids can operate it directly. It’s not only used for having fun, but also we use it for military purposes, disaster relief, weather, atmospheric research, sports, and Wildlife photography. It’s also used for discovering places where we find hard to reach. Here drones take care of the job for us, and it’s very handy for news reporters. These super drones are using a 360-degree rotational 5.2K camera and it can gain speed up to 58 mph; they’re mainly used for movie making. There are lots of drone companies offering their best products, but the question is which one is the best, which is most reliable and trustworthy brand let’s find out. When it comes to quality and reliable brand, there’s only one name in my mind that is dji. Dji is a legendary Chinese company which is mainly specialized in making drones, and they have gained popularity all around the globe. The specialty of the dji products is that you don’t have to be a genius to fly them. One of their best selling drones is dji Inspire 2 who can fly around 27 to 28 minutes, and they can even gain top speed up to 58 mph and let’s get to know more about the all new dji Inspire 2. Inspire 2 is the best and most powerful drones in the world. Filmmakers mainly use it. dji gains great speed, and they have made certain changes in the new Inspire 2 for better video quality and stability. They have a top speed of 94 km so they can quickly follow fast moving objects. 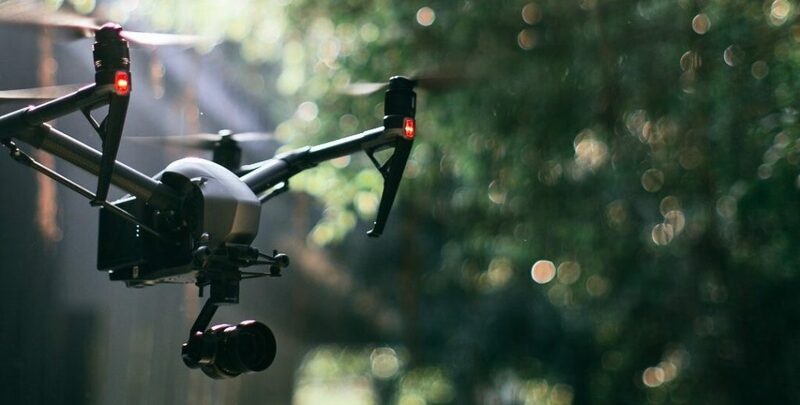 According to its battery capacity Inspire 2 can fly around 27 to 28 minutes, and during this period it can record up to 5.2K resolution videos. They have a highly advanced navigation system, safe return technology. For collision detection, It uses the infrared sensors, and the battery of Inspire 2 can heat itself when flying in low temperatures. Inspire 2 can be controlled from around 4 Miles of range and have an intelligent flight mode such as Tap-Fly feature which will help you to change direction by assigning the separate position using a finger touch. It has a high bright monitor called dji crystal sky, and it also has two SD card slots. The lightning fast PCIE SSD will give you a stable and smoother recording and also it can transfer files faster. Dji has a secondary camera so drone navigator can always look forward and we can operate the primary camera as we want. There is a self-warming battery system to keep batteries at optimal temperature when flying in low temperatures. It has two batteries so, in case one fails the other one make sure that the drones safely return to its destination. dji 2 has 1550T propeller which helps you to take your drone to high altitudes about 5 km above the sea level. Dji Inspire 2 has the all new camera to shoot at a resolution of 5.2 k and 4K, and both of these cameras have different sensors that are Zenmuse X4S and Zenmuse X5S. For more detailed specification Go to this link. Zenmuse X5S camera is the way to get more out of Inspire 2 because it has 20.8 Megapixel. Zenmuse X5S also supports up to 10 different lenses. dji Inspire 2 with Zenmuse 4S is also like Zenmuse X5S the main difference between 4s and 5s is the lens. Zenmuse X4S has the 20 Megapixel camera, and the lens can’t be changed in Zenmuse X4S. Dji Inspire 2 is the dream of every movie makers and drone lover. This is the best professional drone that you can find on the market today. This masterpiece will completely change all your ideas about drones. I’m sure that this drone is going to help you lot and have the ability to take your work to the next level. Everything about this drone is unique. We found that this drone is a great masterpiece of technology. All the features included with this drone have the power to change the face of our world. We are here to help you when you are in doubt if you need any help leave us a comment.